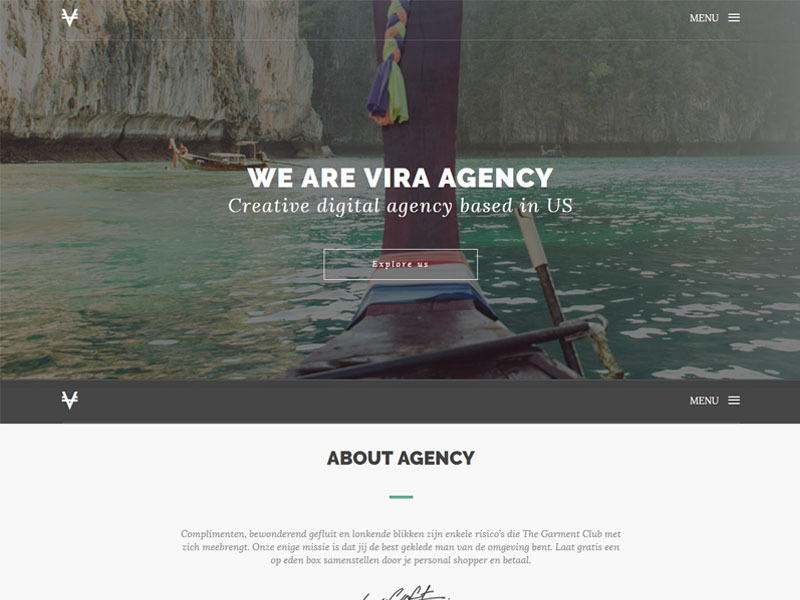 VIRA is a Free One Page Startup Agency Template from ThemeWagon. A clean template with HTML5 video player, modern & latest design and good user experience. 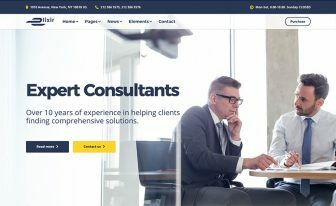 Vira is a new design Free One Page Startup Agency Template; it’s so new that it looks like an old wine in a new bottle. Yes, by keeping the same layout we improved the design and code quality for you. Vira is a Free One Page Startup Agency Template crafted with HTML5 and Bootstrap. It has a one-page layout. And developed with HTML5, Bootstrap, CSS3 & jQuery. The template is suitable for office, startup, agency, personal service and other kinds of website. Download this free one-page startup agency bootstrap HTML5 website template. 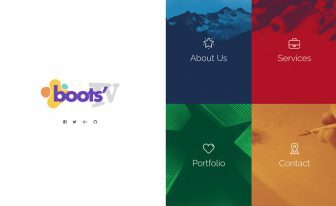 Want to try some premium HTML5 or Bootstrap templates for FREE? Honestly, nothing comes at free. Everything has its price. 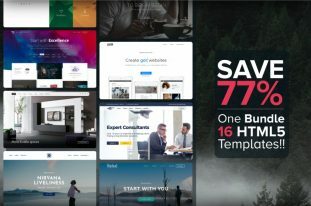 We at ThemeWagon, are giving away those templates for free to give you the taste of our aesthetic design sense and code quality. We know these templates are not complete and lack of other essential sections which you can get in our premium templates. They have a lot more options, documentation, ongoing support and much more. Download VIRA, the Free One Page Startup Agency Template to get the premium flavor of ThemeWagon. Vira is a nicely designed theme. It’s well crafted with the powerful CSS framework Twitter Bootstrap. It makes the template correctly mobile-friendly and responsive. If you don’t believe, check it out from your mobile phones or tablets. It’s awesomely crafted and well organized regarding layout and usability. 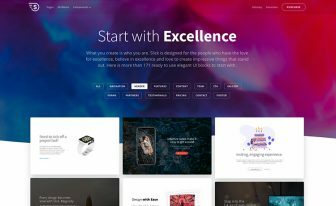 With important sections, Vira is a perfect Free One Page Startup Agency Template. We know those are not enough, can you please comment which ones you need more? We will at our first opportunity add those sections in the template and let you know the update. 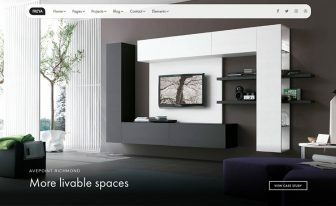 Header section with a static image and a call to action button. About section with description and your signature. Services section with service icon and description. Left image right text section with slideshow. A nice testimonial section with a background image. Generic slideshow section with image and text carousel. HTML5 video section with background image. The fixed top menu, Sticky menu, Burger menu and drawer menu. Our team section with image and social media icon. Email opt-in form or email newsletter subscriber form. Generic contact section with address, phone and email. Vira is an exclusive free HTML5 Bootstrap template designed and developed by ThemeWagon. It is one of the cool free HTML5 Bootstrap templates available on the internet. Please let us know if you found any error or have any suggestions to improve this free HTML5 Bootstrap template. The design is quite advanced. I like it. Hi. Your template is great and sleek. But I encountered a problem when I tried to remove some menu items. The navigation bar disappears from the header image when I do so. Why is that? Hello! Congrats on the theme! looks great and is easy to customize! Quick question, how could I best implement a slider instead of the static image in the header? (using the owl that is already installed, but without losing the full screen aesthetics), any tips? Thanks! You can use any jquery plugin for slider. But, as you are using owl carousel for header and also don’t want to lose full height, I suggest you to provide your images as background of your each carousel-item (or slider whatever you say) where each carousel-item will be styled as full-height.